Unfortunately, most EHRs don't make CCM easy. Explore how practices everywhere are using ThoroughCare with their existing EHR. Why running an in-house CCM program is easy with the right software. In 90 seconds, you'll know if our approach to CCM works for you. ThoroughCare provides everything you need to manage your own CCM program in-house. Start enrolling your patients today. We provide the consent forms and patient agreement templates that you can use. We also support VERBAL consent with Date/Time stamps. 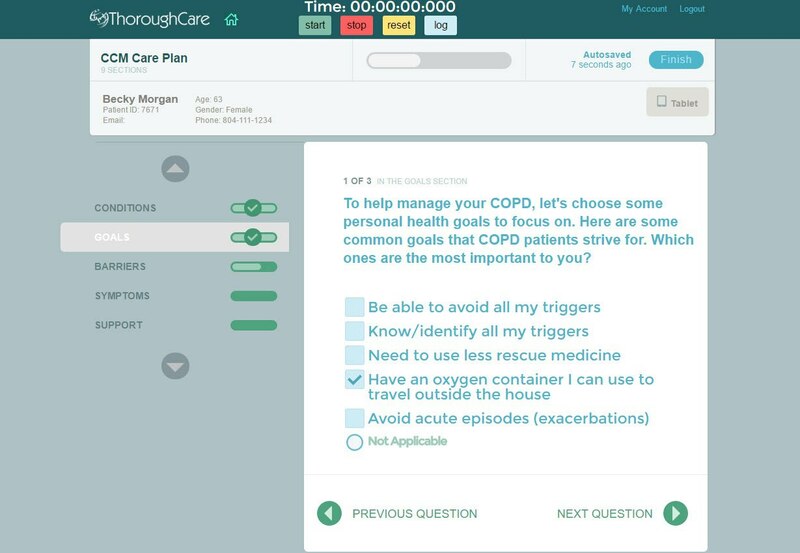 ThoroughCare's patent-pending guided-interview automates the Patient Centered Care Plan. This is one of the most important CCM requirements. 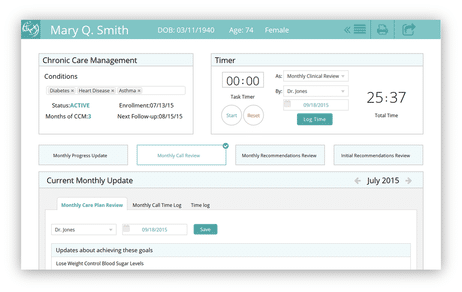 Logging the 20 (or 60) minutes and conducting monthly updates is simple in ThoroughCare. 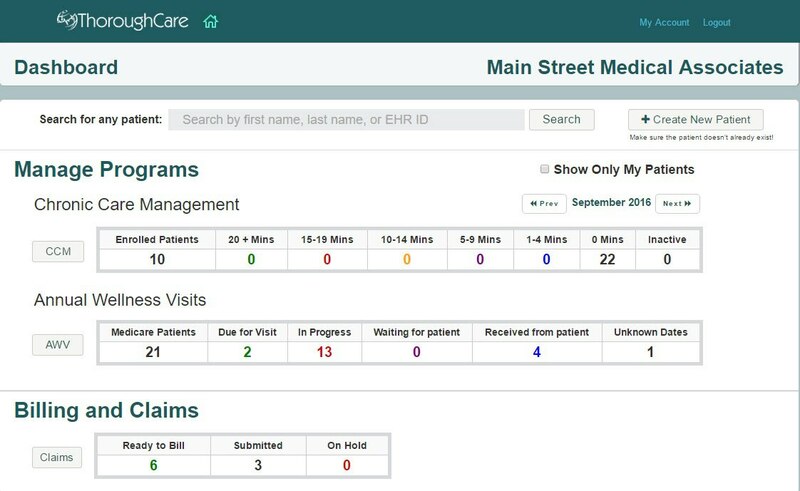 Plus, all ccm summaries can easily be shared with your EHR. 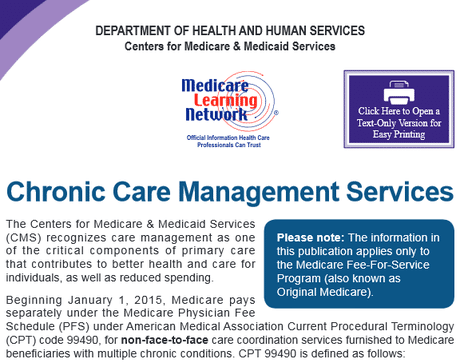 At the end of the month, you’ll have everything you need to bill Medicare for the patients with over 20 minutes of CCM time. Our reports make this simple for your billing team. The patient must have multiple (two or more) chronic conditions expected to last at least 12 months, or until the death of the patient. Chronic conditions place the patient at significant risk of death, acute exacerbation / decompensation, or functional decline. There are additional requirements on the technology side as well. We’ll be happy to answer any questions that you might have about CCM and also explore whether our chronic care management software can help address your needs!